Just 2 hours north of Perth you will find one of the best spots to kitesurf on the West Coast of Australia. 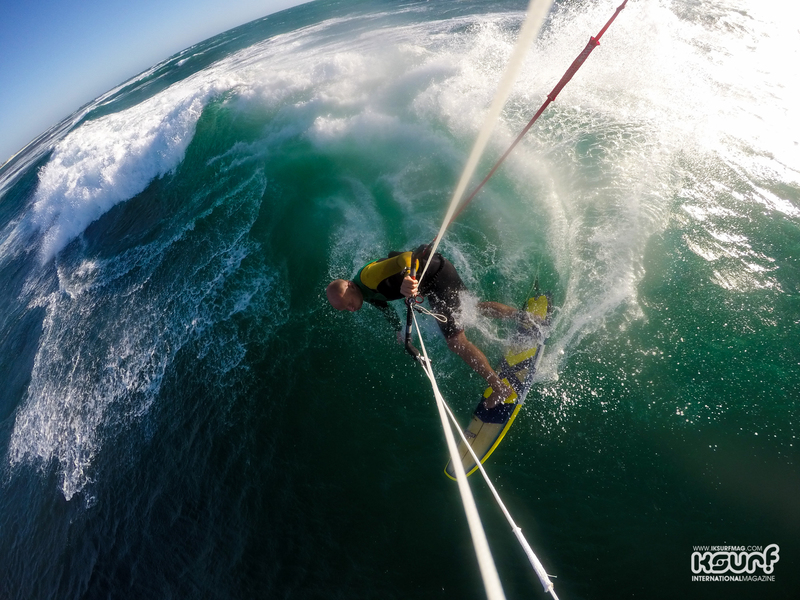 Lancelin is a popular place with kiters and at the weekends, many riders from Perth make the trip up and spend a couple of days enjoying the perfect conditions on offer. With waves and butter flat water there is something for everyone and of course, the sea breeze is always in attendance! The town itself was built around the fishing industry but with the new quotas on crayfish, it has actually shrunk in size. With just 5-600 people living there now there is a real sense of community and if you don’t like the sprawling masses of the cities in Australia then Lancelin will provide a welcome relief! The water is crystal clear azure blue, dolphins can be spotted in the lagoon in the mornings; the sand is a brilliant white, and the locals are friendly and welcoming! From the end of November until the beginning of March the famous sea breeze blows pretty much every day, usually offshore in the morning and then around midday it flips and fills in blowing cross-onshore from the left. It is windier than Perth here, so a smaller kite is needed on the good days, we would recommend taking a few kites to make the most of the conditions. The water is warm in the lagoon and as ever in Australia, the sun is punishing so make sure you have plenty of cream on. Lancelin is one of the few places in WA where you don’t need a car; it’s such a small town that you can walk from one side of it to the other in 20 minutes. Depending on where you stay you will be able to get to the beach by foot or by bike. There is a bus service from Perth but, it is easier if you have a car. 4x4’s are allowed on the beach, and you can also drive them out on the dunes too. Be sure to grab the number of the tow truck guy that is littered around town in case you get stuck in the sand! Everything, and we mean EVERYTHING is closed by 8 pm as far as eating is concerned. There is a pizza place, fish and chips and a takeaway chicken place. They all close at 7 pm! The pub serves food until 8 pm but that is it, no exceptions! They do have a small selection of pizzas available after 8 pm but then they call last orders at nine during the week, so it isn’t really worth it. The food at Vibes Pizza Café is excellent; they serve great fish and chips and tasty pizzas too. The Endeavour Pub is the only pub in town, and that’s the place to go at the weekends. During the weekdays, they close early, and Lancelin is very quiet. At weekends when everyone comes up from the city the town comes to life, and there are some big parties during events like the Lancelin Ocean Classic, but that is about as good as it gets folks! If you stay at the Lancelin Lodge, then there are always like-minded kiters enjoying a beer in the common areas in the evenings and that is where we had the most fun! The Lancelin Beach Hotel is also a good spot for a drink and some food too if you are in the northern end of town. If the sea breeze isn't playing ball then why not check out the sand dunes in a 4x4 or on one of the tours, you can also rent sandboards too, and this is a popular pastime. The sand dunes are one of the most famous things about Lancelin and to come all this way and not check them out would be a travesty! Dolphin watching, fishing, snorkelling are all on the doorstep too. Surfing can be good too when the swell is up; you might want to head to Back Beach though as it is a fair swim across the lagoon to Main Break and South Passage. It’s a perfect set up for SUP, though! Bottom turn at Main Break. Be sure to check your accommodation has Internet as this town is not full of wi-fi hotspots. Lancelin Lodge, the most popular place to stay, and in our opinion the best too, has a good wi-fi connection. You pay with coins by the hour but for 10AUD, you can get 15 hours access which, by Australian standards isn’t bad. Matt, who runs the joint, prefers the pay system as it means the guests at the Lodge all talk to each other, drink beer and play ping pong, it gives the place a sociable vibe and we are inclined to agree with him too. Lancelin is a place to relax and get away from it all, of course if you have a mobile data sim card these work well out here and you can get about 2gb worth of data for about 30AUD. There are a couple of hotels, plenty of apartments to rent and a campsite, but the main attraction here is the backpackers. That might not sound like your vibe, but if you want a clean, fun and relaxing place to stay Lancelin Lodge is where it is at. It’s a family run place and is always very welcoming. Matt, who is running it with his mum and stepdad, is one of the funniest Aussies we have ever met and it’s worth staying here just to hear some of his stories from travelling around the world. You can rent a room or share a dorm; there is a great social area, a very well equipped kitchen and, of course, a huge Aussie BBQ. The swimming pool is a bonus too and while a backpackers wouldn’t normally be our first choice, this is where we will stay every time we go back there. We met a guy called Seymour who has been staying there every winter since the place was built about 15 years ago, which really says something about the vibe of it. It's just a two-minute walk to the beach and shops making it ideally located too. Lancelin Surf Shop, be sure to pop in and say hello! The sunsets on the beach are amazing! Lancelin Lodge, the place to stay! Mary riding in the lagoon. Be friendly with the windsurfers, they were here first! Parked on the beach at the point near Edward Island! Cruising out and watching the action at Main Break! Outside social area at Lancelin Lodge. Making rainbows at Main Break! Top turn at South Passage. It's perfect for freestyle here! Tweaking it out for the camera! Riding out at South Passage! Been to Lancelin? What did you think? Where are the Best Kitesurfing Beaches in Lancelin? 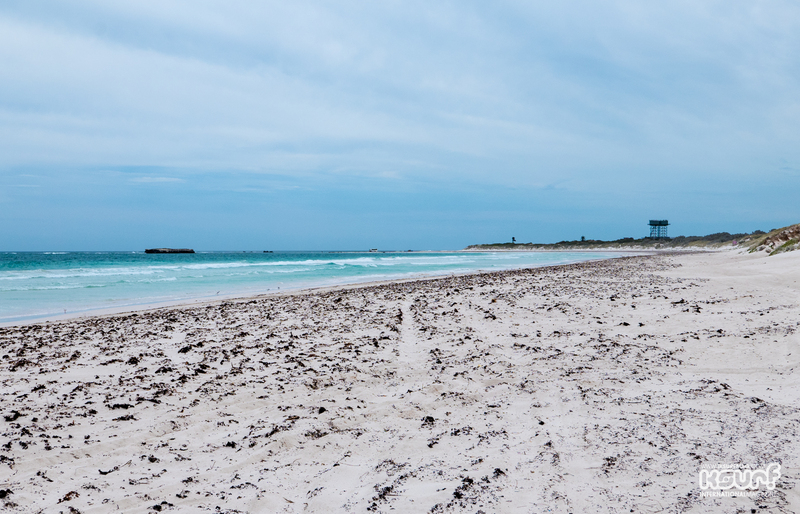 The flat water of Lancelin Lagoon is a favourite haunt of many kiters, sheltered by the point between the mainland and Edward Island you can get some great conditions here. Watch out for the reef at low tide though as it can be shallow in places. Make sure you head to the point to set up and launch. The windsurfers use the grassy area by the car park and the kiters need to head up towards the point away from the windsurfing school and the swimming area to set up their kites and launch. The closer you get to the point and Edward Island the flatter the water will be! The first break for wave riding is just out the back from Lancelin Lagoon, you'll need to head downwind and out through the passage and then ride upwind slightly to access the waves. Be careful not to go too far upwind though as you'll find yourself high on the reef and eating your lunch on a rocky slab as you drop in! There are some fun lefthanders with a bit of solid punch to play with here, it's best to get out early as when the wind builds it can get choppy on the faces and sometimes it gets too blown out. Once you have earned your stripes at Main Break, or if you are feeling adventurous head down to South Passage, this reef is further downwind and offers a solid peeling left hander which can offer up multiple turns. 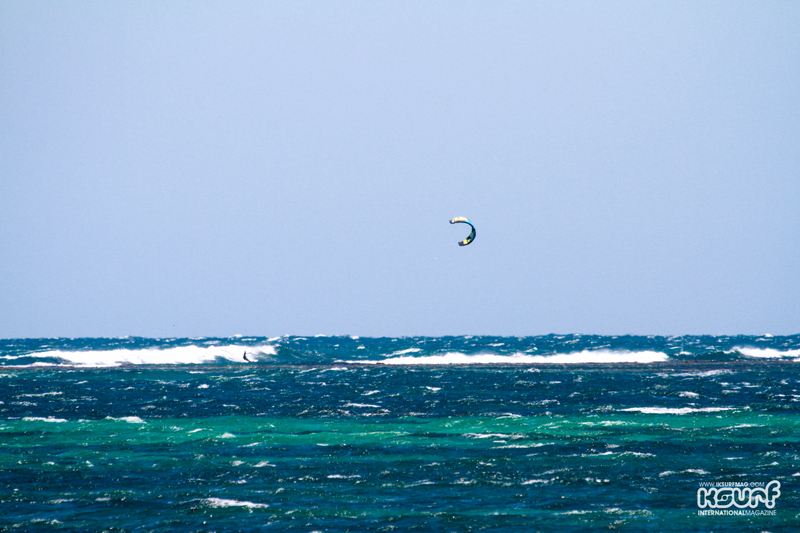 It is popular with the windsurfers though so be sure to respect them on the water. Unlike Geraldton we found the windsurfers to be really friendly and they were always welcoming with a smile and a wave when shown some respect. Let them get the fill of the waves if it is busy and pick off the leftovers. When it isn't busy during the weekdays you will have an absolute ball here if you love riding waves! It's a pretty safe spot the wind blows you out into the channel if anything goes wrong, if you end up on the other side of the passage though there are some rocks and Lancelin Island to watch out for. You should be in the lagoon before you get there though. You can also launch from the Jetty to ride this spot, this will save you riding back upwind at the end of your session. Back Beach is the area beyond the point near Edward Island, you can access it by driving to it along the beach from Lancelin or by following the signs in town and parking at one of the parking lots and walking over the dunes. There is no reef here so you do get some shorebreak, but equally there can be some fun waves to play on and it is often totally uncrowded too. The beach is huge and there is plenty of space, so if you are learning and the lagoon is busy this is a good place to head to when there isn't too much swell! 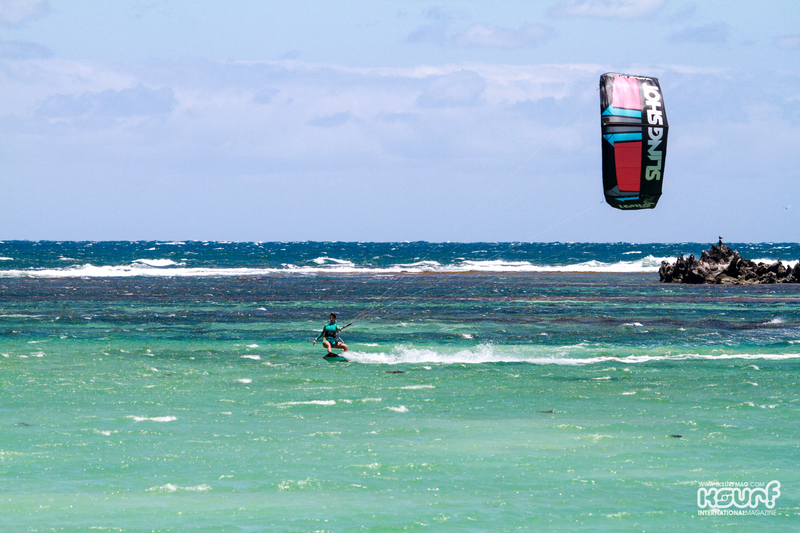 When is the Best Time to go Kitesurfing in Lancelin?